EXPANDED BPA GAME LIBRARY: BPA thanks Rio Game Games, Stratamax, Queen Games, Out of the Box, Valley Games, Lock 'N' Load, Z-Man Games, Clash of Arms, Worthington Games, Stronghold Games, Columbia Games, Treefrog and Days of Wonder for their donations to the BPA Game Library. (A complete inventory of the library is available.) The library will be available in the 13,000 sq ft tiered dinner theatre of the Lancaster Showroom, along with new tables, storage, AV facilities, meal service, and a photo gallery. 4 DAYS LEFT TO VOTE: This year's Board of Directors election promises some new faces as two incumbents are stepping down. Our thanks to Keith Levy and Bruno Passacantando for their years of service. There are only four days left to vote. In order to vote, use our electronic ballot or send an e-mail to election@boardgamers.org. Each member may cast only one ballot, and may vote for up to three (3) individual candidates on that ballot. Multiple ballots from the same e-mail address will be disqualified. The final day to vote is July 15, 2010. For those without internet access, we will accept ballots by United States Post Office Regular Mail to BPA, 7766 Valley View Court, Hickory, NC 28602 in time for delivery by July 15, 2010. In order for the Vote to count, a quorum 10% of all members who have joined the BPA as of the Record Date must cast valid ballots on or before the Final Voting Date. Failure to do so, will require an additional election at more expense which ultimately is borne by the membership. PRE-CON TREAT: When we moved Axis & Allies to Pre-Con status this summer we didn't realize we'd attract one of the original developers of the game to Lancaster to show fans artifacts of the original game. 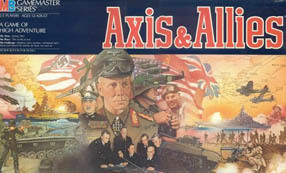 Welcome Joe Angiolillo to WBC this summer who will be bringing the first edition "blue pizza" Axis & Allies as well as Larry Harris's other original wargames including Broadsides & Boarding Parties and Conquest of the Empire which were eventually published by Milton Bradley. Joe can spin a yarn with the best of them so if we're nice to him maybe we can convince him to come back next year and entertain us with some seminars about the good ol' days. Heck, I might even be persuaded to come clean about Avalon Hill. 2010 TEAM TOURNAMENT: What do we do for an encore after the 104-team field of 2009? Will the record fall again? Will Nest of Spies be the prohibitive favorite again? The Happy Handicapper's opening odds are posted and the first 40 of the new team logos are appearing at http://www.boardgamers.org/wbc/teamtour.htm. Register your team at http://www.boardgamers.org/forms/register-team.shtml or send an e-mail to conventiondirector@boardgamers.org with the name of your team, the members of your team, and each of their team games. AUCTION SELLOUT: There is no more space to add items to the auction. See http://www.boardgamers.org/wbc/auctionlots.htm for the list of items in this year's Auction. Pre-registered Auction Items with lot slips must be delivered between 6 and 10 PM Monday or between 8am to noon on Tuesday. You can still sell items in the Auction Store, though they will need to be pre-registered. See http://www.boardgamers.org/wbc/auctionstore.htm for details and to download your Auction Store forms. You need not prepay any fees until you deliver your items to the Auction Store but the items MUST BE preregistered. Auction Store items must be delivered by 10 PM on Monday. Come prepared with your Auction Store Item forms already completed. SAND SOUVENIR T-SHIRTS & DUFFLE BAGS: In the Year of the Sandmen, WBC appropriately features Sand Souvenir quality, silk-screened shirts featuring the BPA logo. 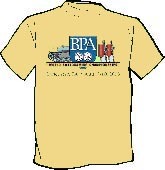 See http://www.boardgamers.org/wbc/shirts.htm or the pre-registration form for details. Likewise, the supply of duffle bags is limited and will be sold on a first come, first served basis. To save you the cost of a stamp and recognizing that time is short, we will accept email COD orders at conventiondirector@boardgamers.org for payment at registration for orders placed by July 22. If you'd prefer a woman's V-neck cut instead, you need to notify us by July 16. They are available only in white. A limited number of 2009/2010 Yearbooks will be available for $10 each while supplies last. See the pre-registration form for ordering information. Late joining Tribune members may also pick up a free copy at registration while supplies last. UPDATED PROGRAM: The 2010 program containing the complete alphabetical and chronological schedule is now posted on line and has been updated since the original posting to correct late changes. Other scheduling aids are also provided to help you plan your WBC week. Choose from among the Custom Scheduler, an All-in-One schedule, or several downloadable pdf pocket schedules in color or black and white. All of these can be found at http://www.boardgamers.org/wbc/schedule.htm. In keeping with the family-friendly atmosphere of Lancaster Host (which is adjacent to Dutch Wonderland amusement park), WBC again slates a full schedule of Junior events. View them at http://www.boardgamers.org/yearbkex/jnrpge.htm. WBC 2010 PRE-REGISTRATION FORMS: The current Pre-Reg form can be downloaded from http://www.boardgamers.org/downloads/WBC10prereg.pdf and should be of interest even to current members for its information on the popular WBC game duffle bags and souvenir t-shirts. You can also check http://www.boardgamers.org/wbc/prereg.htm for your current registration status or Open Gaming and rooming opportunities. If you'd like help with any of the above, just email your requests to acd@boardgamers.org to be listed on the page. All we ask is that you notify us to remove your listing once your need is fulfilled. Pre-registration is advised to save both time and money. If you'd still rather pay at the door anyway, remember WBC does not accept credit cards so bring your checkbook. Or, if you've really procrastinated you can inquire at conventiondirector@boardgamers.org about using Paypal by paying an additional fee. WBC 2010 POSTER/FLYER: Help spread the word. Download the current WBC poster or flyer featuring the artwork of Kurt Miller at http://www.boardgamers.org/wbc/publicity.htm and post it at your next club meeting or ask your local gamestore to display it. SHIFTING SANDS: The fourth round, which is the last round of the Swiss portion of the tournament, is complete. The level of play has significantly increased with all of the games that finished on time decided in the last two turns, and about half going to the last action. There were also equal number of Axis and Allied victories. Overall 51 games were played in the four Swiss rounds with a 2-1 advantage for the Allies. Four players emerged to enter the single elimination playoffs. Andy Friedmann and Charlie Hickok, each had three Axis victories and are matched in the semi-finals. The other semi final game includes two veteran CDG players, Stefan Mecay and Tom Drueding, who were both undefeated in the Swiss rounds. GETTYSBURG: The Quarter-Final Round of the 3rd BPA PBeM Championships has concluded With #2 seed Ed Menzel's Union forces topping #7 seed Greg Smith, #6 Bill Thomson's Rebels besting #19 Tom Gregorio, #8 Mike Pacheco's Rebels topping #17 Dennis Nicholson, and #20 Dan Overland's Blue upset of #5 Jim Tracy. Menzel-Thomson and Pacheco-Overland now comprise the semi-finals. Last updated 7/12/10 by kae.